This here is really not that special, so I don't get the rating. The author mashed together TDG, LOTD, reincarnator, and even a few pieces of TTNH, but not too well. Unfortunately I was immediately turned off by the lack of logic, when MC tried to persuade his father not to go to the secret meeting. His internal argument states that he must not reveal information from the future, but who forbids him to speculate about current affairs? If the result of the meeting is a catastrophy for the family, how could his best attempt to make his father reconsider be "don't go, it could turn out bad", when there are enough reasons in the present why it's not a good idea, and he even MENTIONS THEM while thinking to himself! This novel is okay at the beggining but after 100 chapters or so it's getting boring. The MC is always the only guy intelligent, he says "I have a solution!" and everybody is like "This guy is a genius!". All (80%) of the chapters are about military strategy and there is nothing that interresting. The story is slow and the MC is weak. There is no romance nor good friends. No suspense and it gets on my nerves. I am actually more amazed by this than I expected. After 500 chapters of raws, the story has been absolutely AMAZING. To summarize the background, this is a mix of historical and Xuanhuan. It is set in another world that shares a history extremely similar to that of Earth, and yet it is a different world. More specifically, this is a reincarnation + time travel. MC was a person from Earth that got reincarnated to this alternate history world. However, he... more>> failed the new life he got. However he gets a second chance. In summary, it might feel similar to TDG. However, it is NOTHING similar. This story is focussed on the MILITARY. It is not about a direct clash of power beams and "my level is higher than yours". It's all about politics and actual war. In fact, it actually feels like Wuxia at first. It's only when you read further than you slowly notice that it has Xuanhuan elements. (side note: no sign of romance so far, even if we see female characters). The narration is not flowery and widely poetic like Ze Tian Ji for example. Rather, everything has a logical progression and everything is concise. The author doesn't just throw in randomly as things goes along and then resort to plot armor to fix them. Rather as things goes along you'll notice that actions and people that were mentioned so long ago would actually become crucial to the plans of the MC. I think the only thing that could have been handled better would be the minor time skips (ex: those that are a week or a month long that author sometimes adds in rather suddenly), but that could be just a personal preference on my part. The antagonists are not mindless drones. They don't exist just because they are evil or bad. Not all characters that disagrees with the MC is a bad guy. And the MC does not eliminate all people who disagrees with him. The MC is able to see the big picture and seek cooperation rather than have a pitiful revenge against people who he disliked. He is aware that he must maximize his resources, and therefore he must not remain on minor grudges. In fact, rather than "antagonists", I'd say they are more like "opponents". What he is really fighting against isn't really the "enemies" per se, but rather "the future" he knows would happen and that he is trying to change. I think, the only down point is that we don't really get to see things from the perspective of the side characters. The story is just really focussed on the MC, so even if the side characters have their own thoughts, the author doesn't really dig in too deep to show us what they are thinking. It doesn't mean these characters are less important, just that lot of their crucial actions, decisions and opinions are off screen. Anyway, I think this is an extremely promising series. I won't praise the schemes as being ABSOLUTELY STUNNING—However, things are all well foreshadowed and planned out in a way that makes me acknowledge the MC as actually have a higher IQ and knows what he is doing (rather than the author trying to convince us that he does). As someone who has took decided to look a bit further and machined translated all the to the most recent chapter 250 This is one of those true gems and it is one of the better 'reincarnation' story more well balanced in its pacing and approach. It is a curious blend of actual history and Xuanhuan, this gives the reader an insight into the culture of the Chinese of the time, it is evident that the author is a history buff given the time period and the political intrigues affecting china in that time and its subsequent downfall. This chronicles our MC's attempt to stem that flow, albeit with mixed results. If you're looking for something that is different from the usual trope of reincarnation where it's just a power grab and power up where the ending is fast approaching this may not be for you. If you' re looking for something decently paced, immersive in his world building and political intrigue, grounded in some basis of fact, characters who are not cardboard cut outs and do contribute to the story then this is something that may pique your interest. Another one of those recently popular isekai + timetravel genres. I gave it 4 stars at first, then it kept going downhill. -- Homing pigeons AREN'T MOBILE PHONES!!! They only fly HOME. Different groups of people can't travel everywhere in the world at the same time and then keep sending messages to each other. It makes it worse when you know entire... more>> stratagems are reliant on communication. -- The title of the novel is called "The Human Emperor", so shouldn't the MC be making strides towards that goal? It's mentioned at the start that there are future aliens that humanity needed to fight against. Instead MC slaves away for the Sage Emperor, and happily jumps into war as if that's the only resort to stop enemy countries, which depopulates the human race against the future aliens. Huh? -- MC's zealot-like loyalty to his sh*tty country is misplaced. The government is chock-full of corrupt individuals, and the Sage Emperor is patently useless. MC's loyalty should be to his country, not to the Emperor. It's hinted there's some hidden secret causing the Emperor to become pathetic, but after 650 chapters it's just sheer nonsense and poor writing. No excuses. A better scenario would have been to depict The Sage Emperor as being old/with no capable successors and thus unable to hold/manage court properly. Instead of trying to reform the government (getting rid of treacherous officials, etc, that led to bad decisions in the first place), MC spent all his time building and training a private army. He can't do both?? It's constantly shown that he was able to influence the thoughts and decisions of officials in court, even as a civilian. -- The entire 100+ chapters for the epic war (Chapter 525-650) is completely pointless. Yup, you read it right, 100+ chapters to 1 war. And MC goes to fight the war with a meagre private army, not a single iota of help/reinforcements/supplies from the government. And this after everyone knew the southwestern frontier was falling, the initial armies had been defeated, and there are STILL tons of reserve troops (200+k) in the capital. And the "Sage Emperor" acts mysterious, keeps saying he can't do jack sh*t, and doesn't do jack sh*t.
-- Every foreign/domestic general other than MC is an idiot with little to no knowledge of warfare. Which is very insulting and shows a complete lack of research. It's well-known that even in antiquity, armies had a good command of logistics, basic statistics, and warfare. The lame reason by the author is that everyone in the new world is bulked up with martial talent, so they don't need strategy. I call BULLsh*t.
If EVERYONE is bulked up, that means EVERYONE is back to being on the same level/starting point, especially when it's repeatedly stated that it's impossible for a suped-up general to fight a whole army. So of course you would need to develop an art of warfare! How obvious is that? -- The cultivation system is PATHETIC. MC's cultivation levels are broken, and he unreasonably powers up at the last minute whenever the plot armor calls for it. The idea of "auras" (some buffing, some offensive type, etc) is kinda interesting, but poorly depicted. Eventually auras can do everything, literally take physical form. -- The training arc from chapter 200-350 is complete nonsense, has no bearing on the plot. Multiple training camp sites that were later abandoned when the author realized it made no sense. Spirit vein is sold. All of the side characters developed in the training camps disappear. -- The epic war from chapter 525-650 is pointless, could be shorted to 50 chapters or less. Author ran out of ideas and just decided to drag out with fillers, half of every chapter was everyone reacting to each other. MC pulls off one, only ONE stratagem/maneuver, and every character on the battlefield gets several paragraphs to react to it. It's that ridiculous. -- Author added way too many characters, puffed them up for multiple chapters, then they only reappear for a few paragraphs before disappearing again. All of the young characters he met in the first 400 chapters are useless. Random named generals keep appearing during the war arc, then proceed to die. -- ALL the female side characters are one-dimensional "dinosaurs" (physically and verbally abusive) while MC acts like a pansy in front of them. Weird fetish from the author. -- I find it odd that no one pointed out the not-so-subtle racism in the novel, while everyone gives so much sh*t to "I Really Am a Superstar". The author is clearly an absurd Chinese nationalist. The novel is set after the peak of the Tang Dynasty (late 8th century), centered around the An Lushan Rebellion. Let's be perfectly clear. NO country was "good". Everyone fought for control of all lands in inner and central Asia. Alliances shifted constantly, everybody attacked each other whenever they sensed weakness. China invaded Mengshe Zhao (Yunnan), Mengshe Zhao allied with Tibet against China, Mengshe Zhao switched allegiances to pair up with China against Tibet/Arab Caliphate. China also allied with one of the Korean kingdoms (Silla) to take out the big dog Goguryeo before they started fighting for the spoils. And that's just being simplistic. Yet in this novel, EVERY country surrounding China is portrayed as evil, power-hungry, unscrupulous backstabbers while China is the lone country of goodwill, holding the higher moral ground. This isn't about being PC, it's just factually wrong. I'm Chinese and I'm disgusted at this ridiculous setting. Tibetans/Ü-Tsang are labeled as red-faced monkeys, pure carnivores and get diarrhea from eating rice (which is absurd, their staple food is barley and bread). It's the ESKIMOS that eat mostly meat (fish/whale/seals/bears/birds). Koreans/Goguryeons are unflatteringly labeled as disheveled smelly warriors. That's literally the description for every Korean warrior, even the commander becomes just a shaggy bigger dude. It is an early review, but hopefully it encourages some readers that are hesitant to begin reading the series. After twelve chapters, I am hooked with the story. The MC is a transcender from another world, and lived and died in his new world. However, he lived mostly has an observer and never tried to build any human relations and acted as a prodigal son. Through varying circumstances, he lost his family and friends and realized how he took for granted the love from those close to him, but now... more>> he has a second chance to fix his mistakes. I felt slight tension during some of the dialogue, where it goes back and forth and builds to something and not boring and pointless chatter. The MC has knowledge of future events, but unlike other Chinese light novels, everyone is not going to automatically believe the MC and worship him. The MC needs to test what information he is able to divulge, when can he divulge the information, how to divulge it (subtly or not, etc). I think I like the mc's little sister more (she is adorable, but crazy strong). I hope the author does not stop developing the little sister. Both the mc's parents are likeable so far, especially the mom. Again, it is an early review, but as long as the author does not deviate from the character's personalities, or introduces a beauty with a bad attitude that instantly makes the MC stupid, this story has great potential. Update: So, the author has neglected the characters I liked and introduced two beauties that seem like they will make the MC stupid. Also, coming back to the past, the MC mentions many different events that caused the downfall of his nation. I understand there may be combinations to the downfall, but each event seems like that was the main reason and they keep popping up as the story progresses. He fixes one, then he mentions there was another reason. It would make sense if his current timeline reacted to his meddling, but it seems it happened in his past, he did not know the full story, tough. Plus, the pacing has been slow. For example, an arc was focused on selling of swords and then an arc on him impressing his grandpa's generation at a banquet. I loved it at first, whoa! I said. When I first read it, I also rated it 5 which I rarely ever do. The world was totally similar to ours (in a different time) with xianxia twist. The character's first impression was also good, as how he acted with his father, and how his family didn't outright believed him even though he proved himself. It showed no romance (Which is my fav part) and other useless thing. He planned and executed all things perfectly, altering the future a little. But... more>> then comes the bullsh*t.
A f**king mechanical voice which grants him extra power if he passes the test conducted by the world, because only then can he change the future as he is going against the fate. Remember friends this is feudal era, the MC though hailing from the present time was still living in an early time. He was already not OP enough but he still got a cheat item, it would have been enough as it only send him into past. But OK!! I can ignore this thing. he only had superficial knowledge, but was able to create the best sword in the mortal world. if considering. He was just a normal 20 year old from present day, and even if he read about it on book somewhere, he wouldn't remember it after he lived 2 different lives and was repeating the last one (as basically he improved the technique from the previous timeline. Ok!! then lets forget about this one too. King wanted to f**k his own daughter in law even though his son was alive, he even wanted to make her his own concubine, and MC supported him (I accept he didn't had a choice) but still he was not disgusted by these deeds of the king, and the first time he met that bastardy king, he felt respect for him instead of disgust which would have been normal for a modern human. I didn't know what the author wanted while writing this story. He is a f**king great commander of humanity, he needs to get his sh*t together and don't act so scared and submissive in front of those higher ups (but he acts like a pu**y) his planning and all is for nothing, there were various chances to achieve better results if he had some balls (maybe the time reincarnation forgot to revive that part of him). Into another world AND back to the past! If this keeps up, then definitely a 5 star. 1. Yes they do martial arts/cultivate but the focus seems to be how he can keep his clan out of trouble between the struggle for the throne (instead of flying off to random cultivation/saint realms and stuff with no mention of his parents/clan after 20 chapters). There are paragraphs of cultivation explanation later and I find his 'destiny struggler' thing quite corny, but so far it haven't really played a big part yet so... more>> I'll pass. 2. OMG his family loves him! It's more realistic than the ones where the MC is an orphan that gets blindly hated/bullied by everyone. His parents are strict but not unreasonable and loves him, and his little sister is childish but treats him like a big bro. Other people also have complex feelings instead of it just being loyalty or kill. 3. He's a normal person! He's not an assasin/secret agent/poison genius that adopts to the situation and pwns everyone within 2 days. The first time he reincarnated he acted like a normal person would, don't feel like the family is his real family, not really adjusting to the different culture. But now that he's back to the past, he tries to use his knowledge to rise up. He is smart (with a good memory) but he still needs to think in order to convince people and find possible fortuitous encounters, no instant trust from random people or blind love/hate. There are a few plot hole that ruins this for me. The story was really enjoyable from the start but later on it feels like it's just dragging on. According to the other chapter he is suppose to be a reincarnated supreme general or some thing like that however he certainly doesn't act like one, and is loyal to an emperor that he has never meet before for absolutely no reason. He meet the emperor for the first time in his two lifes time at chapter 163 after he got summoned to a meeting and talk about some strategy. After saying 3 sentences he was literally sweeting all over from head to toe because meeting the emperor is like meeting the tiger... it's just kinda dumb after all he acts all high and mighty against the other characters that he has heard of and meet before but when it come to the emperor that he had never have any interaction with. Certainly not the act of a supreme general that has killed thousands. Still wondering why this series called "Human Emperor" when this REINCARNATED MC become an ABSOLUTELY LOYAL DOG OF THE COUNTRY. REINCARNATOR WITHOUT SELFISH DESIRE? SERIOUSLY? First of all, this story is amazing! Reasons? The MC is extremely intelligent in politics and wars. There is no enemies that's just pops out without any reasons or just want be a stepping stone for the MC. No. They have their own reasons and circumstances. 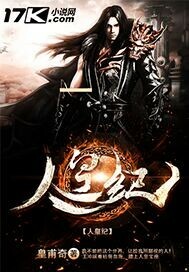 The progress of the story is slow but acceptable because of the settings which is more like wuxia. It's not a xianxia genre where there's legends about immortals traveling through worlds exists in the story. At least until where I'm reading right now, there's no such character yet. The MC is slowly getting OP. No training arc as of this yet as the MC most of the times involves in some politics issues and sudden wars that he knows or doesn't knows and through these battle he became OP. The story is a nice change from novels that have the MC runs into enemies at every corner and shouting 'You are courting death!'. Trust me, i've read a LOT of that kind of novels. The drama in the story is completely based on the misunderstanding / miscommunication trope. Based on the story, the MC could cut 80% of the unwelcome complications by simply demonstrating his competence while still keeping his central secret, but that would mean that the author would have to actually learn to write drama. I truly don't get all these good ratings. While it's a good read, this novel fail to show what a proper reincarnator/transcender was like. He might be amazing and powerful in the past/future, yet he, time and time again, failed to calculate all of the possible outcome of his own doing. He boast wisdom that goes beyond normal, yet always end up almost got killed, and only survived because of LUCK. ... more>> He was the former great expert, yet got scared by his own uncle and cousin. Been awhile since I seen writing this bad. Every female character in the story turns into a raging hulkamaniac who attacks the MC whenever he enters the scene. Ex: His female allies were in the middle of a battle against the enemy. MC shows up to help. After killing the enemy, his female 'allies' turn on him and attack. He explains he is on their side. They reply "All men are pigs" and keep attacking. WTF?!?! It's like the MC infects women with rabies just by being in the same... more>> room with them. The author must suffer from fear of woman to write female characters this bad. Then there are the plot holes. MC gets into the business of making and selling swords. MC sees a golden opportunity no one else thought of: Sell swords to the army. Really? No one else ever thought to sell swords to the army? Are you f**king kidding me? Before that he saw a golden opportunity: Buy super ore for his swords! It had a high price tag that no one could afford: 90, 000 gold. Yep even the biggest sword smith clans in the capital could not afford it. Yet they have no trouble whipping out 1.5 million gold later when the MC needs money from them. Then when he sells one of his special swords it sells for more than the entire annual gold production for the entire kingdom! I guess the author failed grade school math too. The strategy used and how MC strives to excel even when placed with limits is gratifying unlike other novels where MC has to barely struggle and coast through to defeat his enemies. My first problem with this novel is what the writer does if the protagonist needs more challenge. You see, our Wang Chong is incredibly strong by now, knows a lot and has received the trust of many. Yet he still "struggles" every step along the way. Why? The author keeps conjuring enemies out of thin air. Winning a battle against Ü-Tsang too easily? Well, what about another martially strong Tibetan general you haven't heard about yet! The author uses this trick constantly. You're breaking my immersion, Huangfu Qi. Don't write... more>> that way. It's like cramming your novel full of deus ex machinae. Speaks of bad plot, bad planning. Powercreep. My second gripe is the system. Again, because he's too strong and has too much of an impact, the system drives up the difficulty artificially. It even restricts him once from killing someone. Like, really? Systems in non-sci-fi novels break immersion by default, and the way it's done here doesn't help. Third, why so much useless dialogue and filler? I skip battles, I skip dialogue, I skip about half the novel and I can still comprehend everything. That's not normal. It's not written well. Fourth, why is only Wang Chong smart? The others are apparently really smart too, says the author, but they still get trounced? Fine, he knows parts of the future but does that mean he knows all details, or that things don't change if he's actively changing the future? Fifth: everyone and their mothers trust Wang Chong. Why does he have so much trust and as a consequence power this fast? The provided explanation is far-fetched. Started as promising "second chance" novel but becomes very boring after 100 chapters or so with all these so called "future important figures" that gets introduced almost every 2 chapters. It would be fine if the author actually makes them important figures but I've yet to see them become anything more than MC's henchmen or just get sidelined and have yet to reappear after 200 chapters. I am baffled with the rating this novel has, it’s filled with lots of fillers and he explains his reasons for his actions with retarded logic that only this author could think of. I recommend you skip this novel and find another one. Suffers from usual Chinese novel issues: word padding, needless repetition of details (more word padding), and excessive/non-sensical worship of the MC by his allies. By chapter 100 it was wearing thin, by chapter 300 I just accepted that while this novel had the potential to be outstanding, it has unfortunately been hindered by the limitations of every creative work subjected to profit minded oversight: deadlines imposed without regard to their effect on the storyline and a reward/payment system designed to emphasize quantity over quality. All that being said: this novel is better... more>> than most. By chapter 10 (4.2), by chapter 100 (3.9), by chapter 300 (3.7), by chapter 500 (3.6). As much as I'd love to round up to 4, I have an overwhelming premonition that the downward trend will continue and have instead (perhaps unfairly) rounded down to 3. At chapter 580 (most current I've read at this time) I would rate this between 3.5 and 3.6... crazy as that sounds. Worth reading? Yes. Worth finishing? Possibly. This is definitely the best "second chance" novels I have ever read in my life. The plot line of protecting the country and ensuring the survival is awesome. I would really like to read more of it.